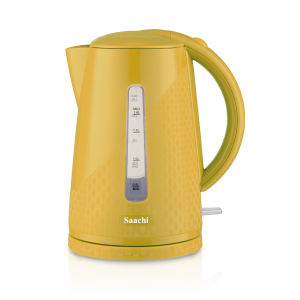 The Saachi NL-KT-7721 Electric Kettle is a smart and efficient appliance for everyday use. The inner water level indicators allow you to easily analyze how much water has been entered into the kettle. The automatic shut-off function turns off the appliance once the water has been boiled. The kettle is cordless, detachable from the base, making it easy to use when pouring into a cup or glass. Finally, the elegant black and steel design makes it a great appliance to have in your kitchen. 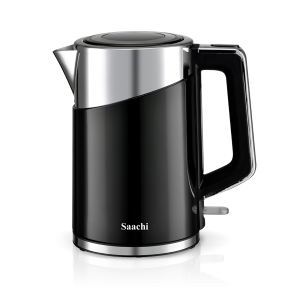 The Saachi NL-KT-7725 Electric Kettle is a smart and efficient appliance for everyday use. The inner water level indicators allow you to easily analyze how much water has been entered into the kettle. The automatic shut-off function turns off the appliance once the water has been boiled. The kettle is cordless, detachable from the base, making it easy to use when pouring into a cup or glass. It comes with an egg stand enabling you to boil eggs or even cook noodles within the appliance itself. Finally, the elegant black and steel design makes it a great appliance to have in your kitchen. – Can be used to boil eggs, noodles, etc. 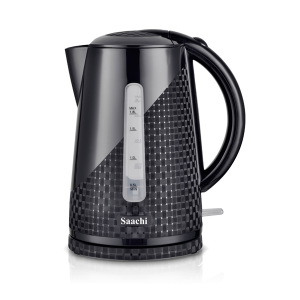 The Saachi NL-KT-7732 Electric Kettle is a smart and efficient appliance for everyday use. The water level indicators allow you to easily analyze how much water has been entered into the kettle. The automatic shut-off function turns off the appliance once the water has been boiled. The kettle is cordless, detachable from the base, making it easy to use when pouring into a cup or glass. Finally, the elegant design makes it a great appliance to have in your kitchen. 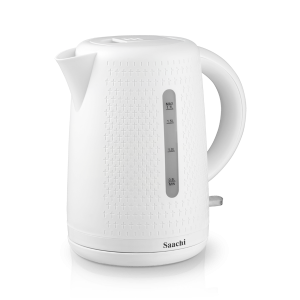 The Saachi NL-KT-7734 Electric Kettle is a smart and efficient appliance for everyday use. The water level indicators allow you to easily analyze how much water has been entered into the kettle. The automatic shut-off function turns off the appliance once the water has been boiled. The kettle is cordless, detachable from the base, making it easy to use when pouring into a cup or glass. Finally, the elegant design makes it a great appliance to have in your kitchen. 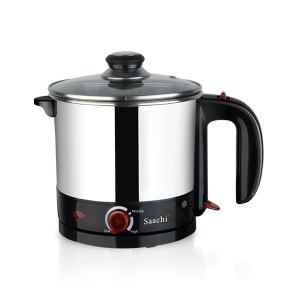 The Saachi NL-KT-7735 Electric Kettle is a smart and efficient appliance for everyday use. The automatic shut-off function turns off the appliance once the water has been boiled. The kettle is cordless, detachable from the base, making it easy to use when pouring into a cup or glass. Finally, the elegant design makes it a great appliance to have in your kitchen. 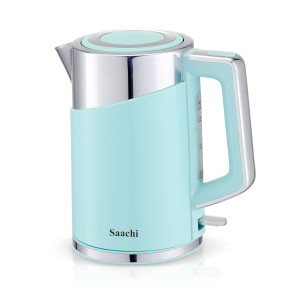 The Saachi NL-KT-7736 Electric Kettle is a smart and efficient appliance for everyday use. The automatic shut-off function turns off the appliance once the water has been boiled. The kettle is cordless, detachable from the base, making it easy to use when pouring into a cup or glass. Finally, the elegant design makes it a great appliance to have in your kitchen. The Saachi NL-KT-7737 Electric Kettle is a smart and efficient appliance for everyday use. The water level indicators allow you to easily analyze how much water has been entered into the kettle. The automatic shut-off function turns off the appliance once the water has been boiled. 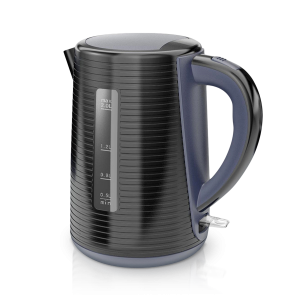 The kettle is cordless, detachable from the base, making it easy to use when pouring into a cup or glass. Finally, the elegant design makes it a great appliance to have in your kitchen. 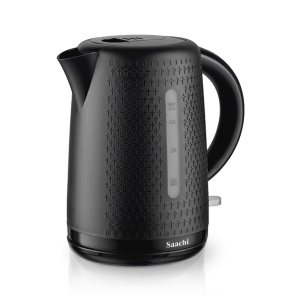 The Saachi NL-KT-7738 Electric Kettle is a smart and efficient appliance for everyday use. The automatic shut-off function turns off the appliance once the water has been boiled. The kettle is cordless, detachable from the base, making it easy to use when pouring into a cup or glass. Finally, the elegant design makes it a great appliance to have in your kitchen. 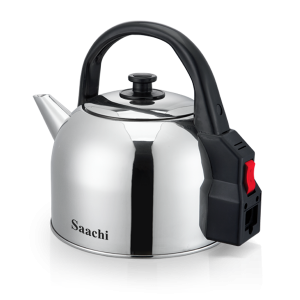 The Saachi, NL-KT-7739-RD, Electric Kettle is a smart and efficient appliance for everyday use. The automatic shut-off function turns off the appliance once the water has been boiled. The kettle is cordless, detachable from the base, making it easy to use when pouring into a cup or glass. Finally, the elegant design makes it a great appliance to have in your kitchen. 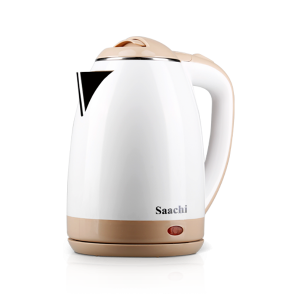 The Saachi, NL-KT-7740-YW, Electric Kettle is a smart and efficient appliance for everyday use. The automatic shut-off function turns off the appliance once the water has been boiled. The kettle is cordless, detachable from the base, making it easy to use when pouring into a cup or glass. Finally, the elegant design makes it a great appliance to have in your kitchen. 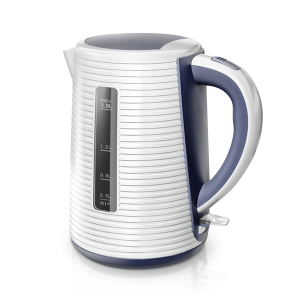 The Saachi, NL-KT-8800-WH, Electric Kettle is a smart and efficient appliance for everyday use. The automatic shut-off function turns off the appliance once the water has been boiled. The kettle is cordless, detachable from the base, making it easy to use when pouring into a cup or glass. Finally, the elegant design makes it a great appliance to have in your kitchen.